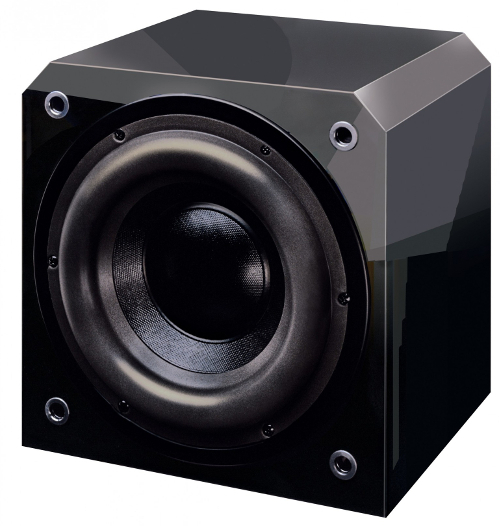 PETALUMA, CALIFORNIA, August 6, 2015 – Industry-leading luxury subwoofer and home theater audio brand, Sunfire, today announced the redesign of its widely popular, high-performance HRS Subwoofer series. Delivering a dramatically improved listening experience and a boost of serious power, the HRS Subwoofer series builds upon legendary Sunfire technologies to deliver the best and boldest sounding subwoofers from small but stunning enclosures. Available in 8, 10, and 12-inch models, the HRS series is the perfect option for any size home theater or audio system. Sunfire’s innovative Frequency Filtration Design™ (FFD) acoustic tailoring technology greatly improves accuracy even at the highest volumes and lowest frequencies. The FFD™ also gives HRS subs a remarkable ‘sonic intelligence’ that lets the listener clearly hear and feel all the deep-bass details in their favorite music and movie soundtracks. Creating breathtaking power with crystal-clear sound, the subs feature a built-in 1,000-watt amplifier and advanced driver technology. All three subs in the HRS series deliver 1,000-watts RMS of power courtesy of Sunfire’s exclusive Tracking DownConverter™ amplifier design. This delivers high levels of current with far greater efficiency than conventional amps, for huge, pure power reserves with minimal physical size and cool-running operation. Additionally, the new standby circuitry reduces standby power consumption like never before. If that weren’t enough, the amp’s soft-clipping circuitry also keeps the woofer from being dangerously overdriven or producing obvious distortion, without squashing the dynamic subtleties or compromising its impact during big action flicks. Much of the HRS series’ powerful performance comes courtesy of the massive, extra-long-throw woofer. The woofer’s ability to make extremely long excursions enables it to displace large amounts of air, producing deep, bone-rattling bass. The driver’s large, specially designed surround holds the woofer cone precisely in place as it moves, for the most accurate sound possible. To round out the impressive offering, the HRS offers a collection of premium audiophile features like auto turn-on circuitry, gold plated connectors, soft clipping circuitry, variable crossover level and variable phase control. “The Sunfire HRS subwoofer is designed in an effortlessly stylish, high-gloss piano black finish that fits flawlessly into almost any room décor, making it the perfect foundation for every great home theater and audio system,” Dever concluded. The HRS subwoofers quality control levels have been raised to the highest in Sunfire’s history. HRS subwoofers are available now through certified Sunfire dealers and distributors. Sunfire®, from Core Brands, combines unconventional thinking with precision engineering to create innovative home theater products delivering audiophile performance, including the smallest and most powerful subwoofers anywhere. Headquartered in Petaluma, California, Core Brands combines the product and marketing strengths of iconic and award-winning audio, power management and control brands including SpeakerCraft®, ELAN®, Niles®, Panamax®, Proficient®, Sunfire®, Furman®, Xantech® and BlueBOLT® to deliver a portfolio of connected home solutions to its channel partners and end users. For further information, please visit www.corebrands.com.